CHICAGO Chicago mobster Frank Calabrese Sr., a hit man who strangled victims and then slashed their throats to be sure they were dead, has died in a federal prison in North Carolina, authorities said. Calabrese, 75, died Tuesday at the Butner Federal Medical Center, said Ed Ross, a spokesman for the Federal Bureau of Prisons. Ross had no information on the cause of death, though Calabrese claimed at his sentencing in 2009 that he suffered from a host of ailments, including an enlarged heart. "It's very emotional right now because there were two sides to my dad, and I miss the good side," Calabrese's son Frank Calabrese Jr. told the Chicago Sun-Times. He had helped put his father behind bars by secretly recording him boasting about mob killings. 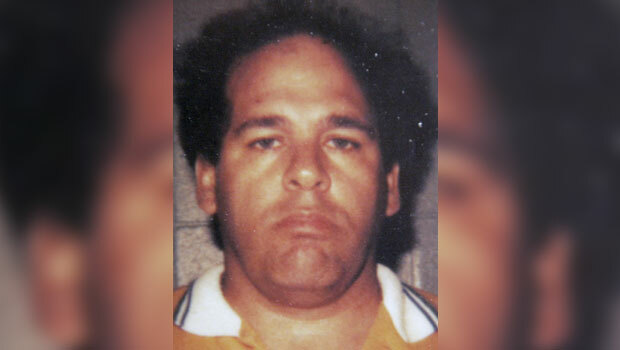 Calabrese was among five men convicted in September 2007 at the Family Secrets trial, which resulted from a major, multiyear effort by the federal government to weaken the Chicago Outfit, as the city's organized crime family calls itself. The investigation also was aimed at clearing 18 unsolved mob murders dating back to the early 1970s. Calabrese was blamed for many of them and sentenced to life in prison. It was Chicago's biggest underworld trial in decades and it produced sensational testimony, including a description from his brother of how Calabrese preferred to strangle victims with a rope and then slash their throats to make sure they were dead. None of the defendants in the Family Secrets trial was charged with murder. They were convicted of racketeering, but the jury held Calabrese and two others responsible for various killings designed to silence witnesses and mete out mob vengeance. Calabrese laughed during some of the trial's most grisly testimony. Family members say Calabrese inflicted violence on them as well, with one son, Kurt, recalling during Calabrese's sentencing that his "father was never a father  he acted as an enforcer to me," threatening to "bite your nose off" and make him "disappear." Frank Calabrese Jr. told the Sun-Times on Wednesday that that violent history made his father's death especially emotional. "I believe he was taken on Christmas Day for a reason," he said. "I hope he made peace. I hope he's up above looking down on us. ... He's not suffering anymore. The people on the street aren't suffering anymore."